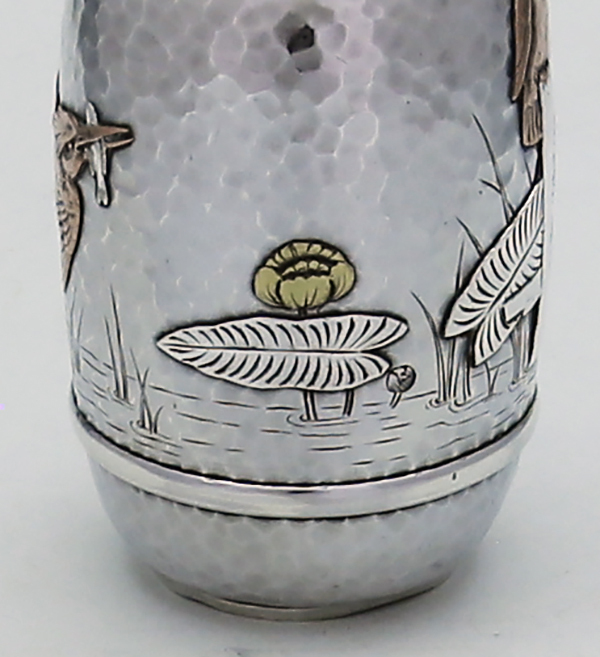 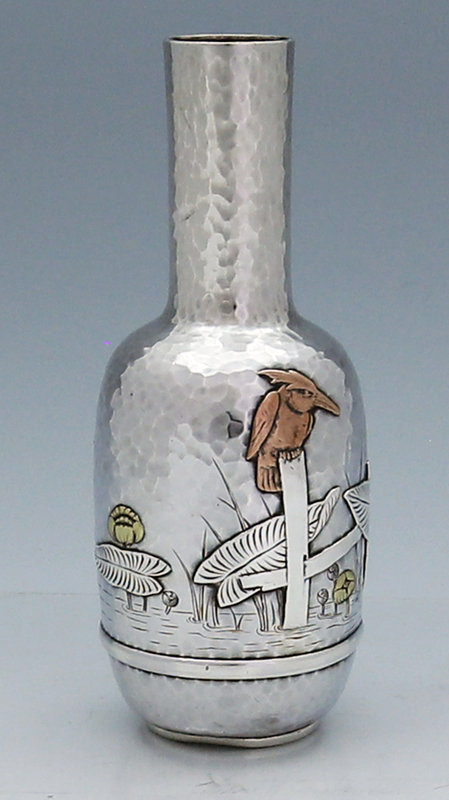 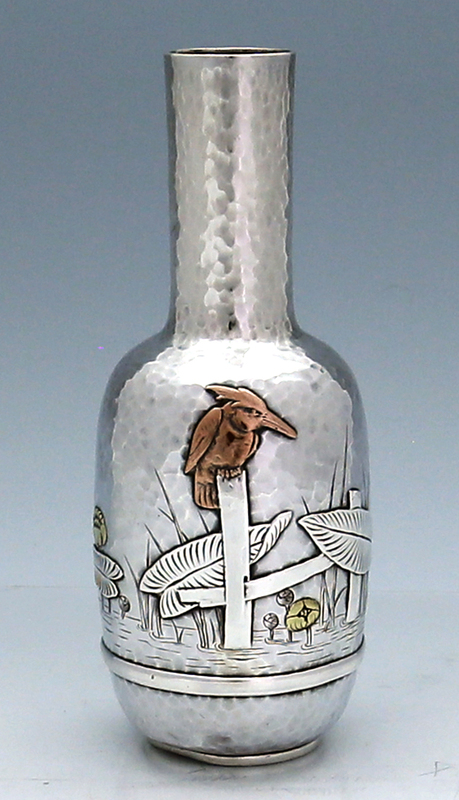 A Tiffany mixed metals and sterling silver hammered vase with two copper kingfishers and applied silver lily pads. 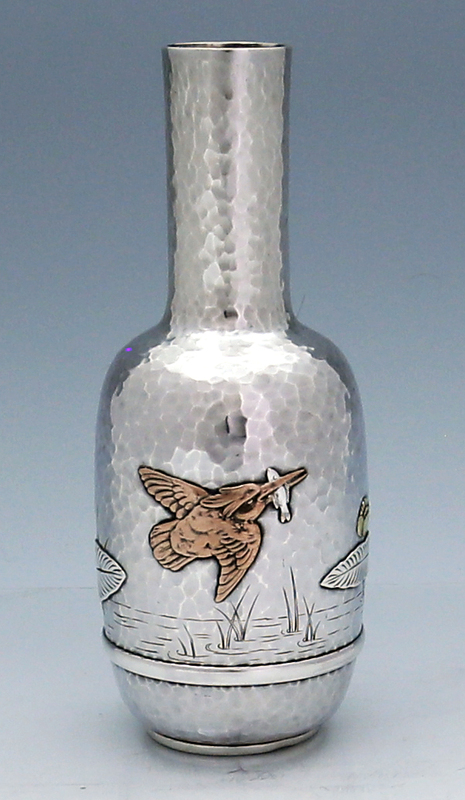 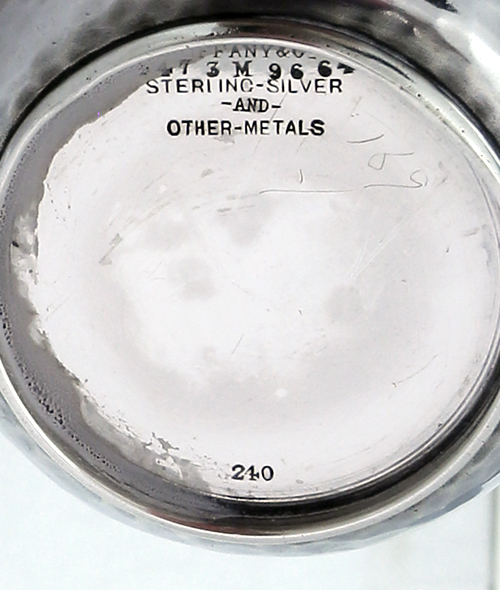 Engraved highlights simulating aquatic plants and ripples in the water. 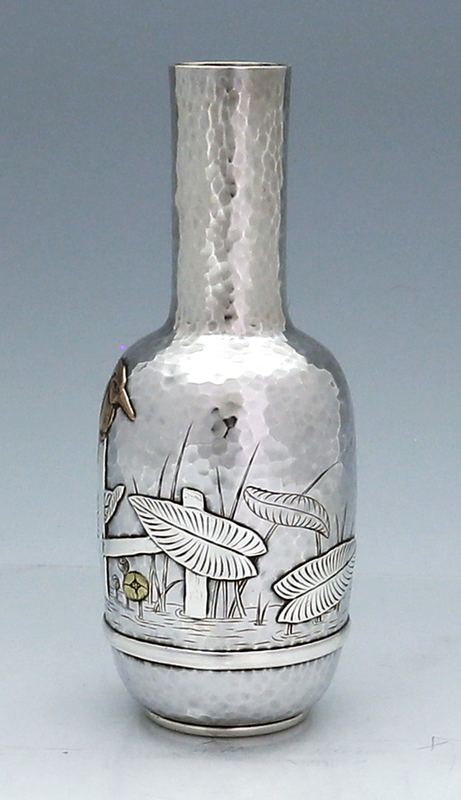 An earlier example dated 1876 with fine hammering throughout.